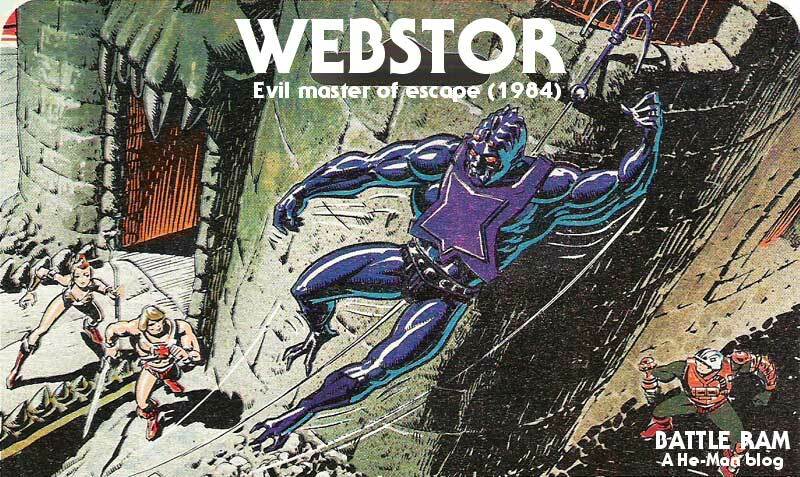 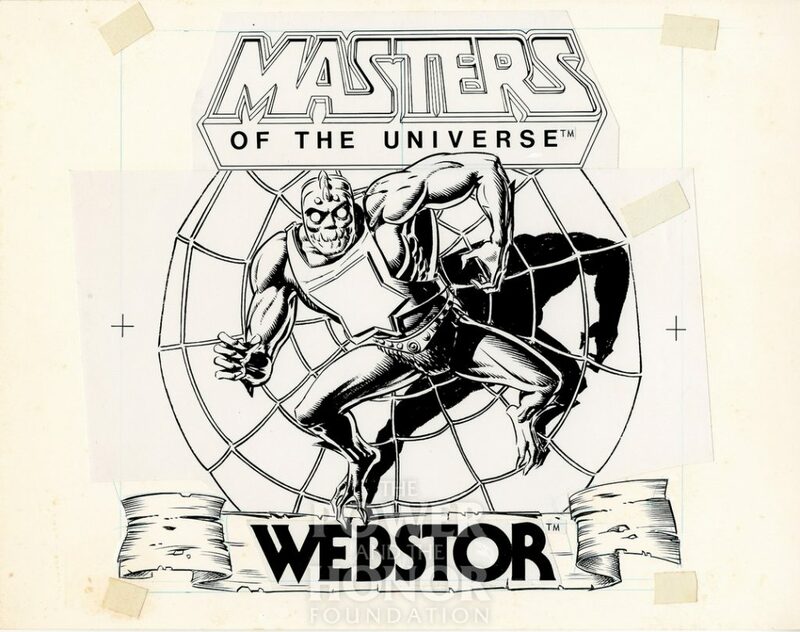 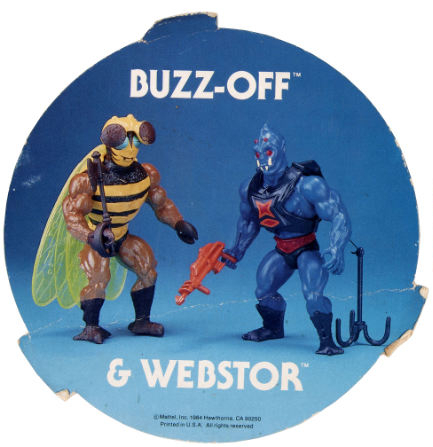 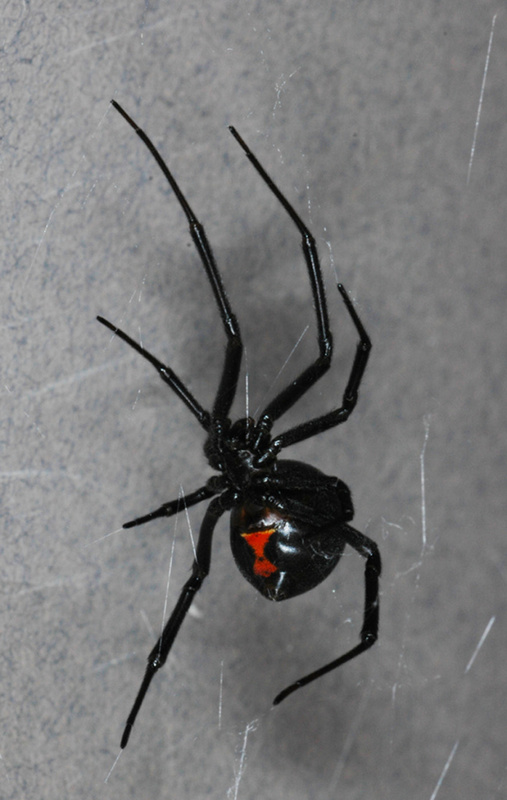 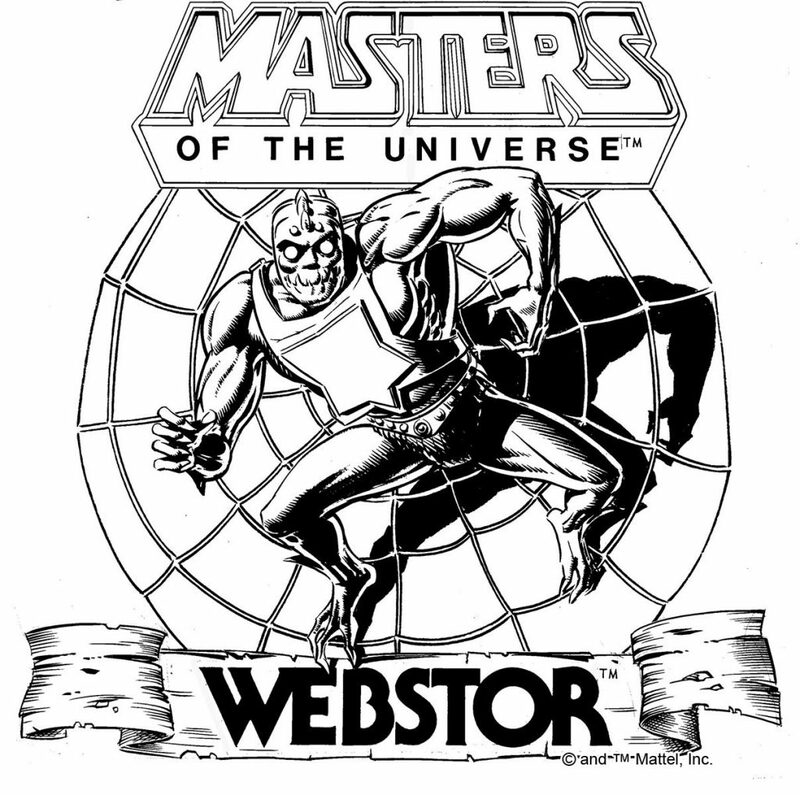 They really missed a great opportunity with Webstor. 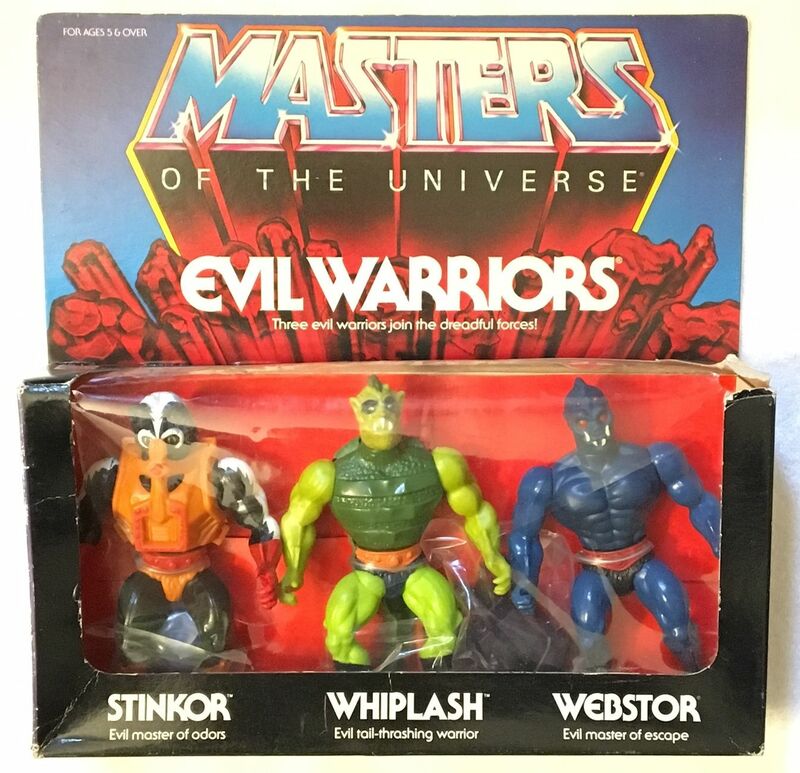 They could of had the figure spray silly string from his arse like a real spider. 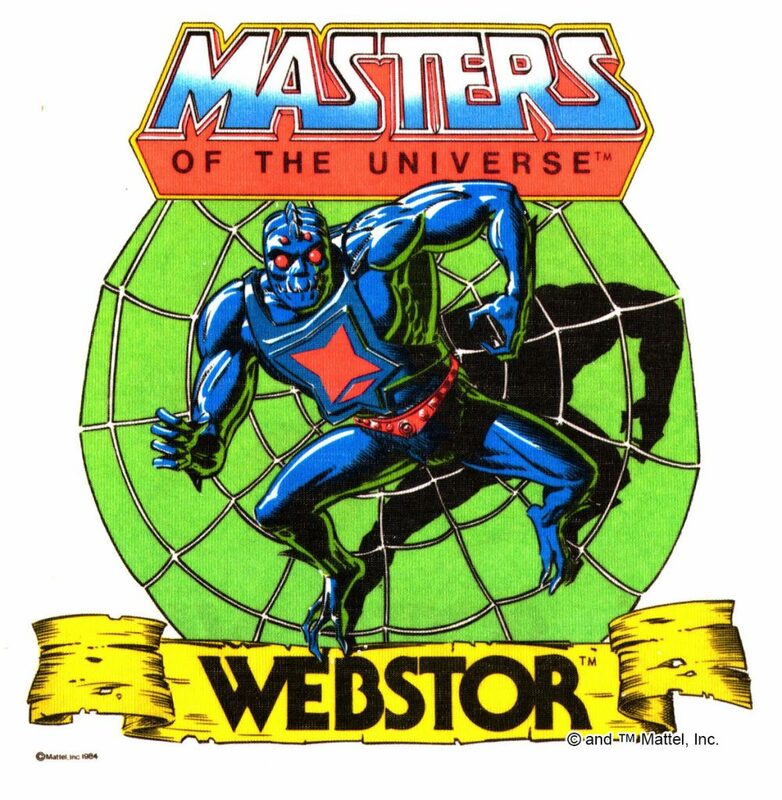 Like everyone else my Webstors string got tangled and ended up making useless. 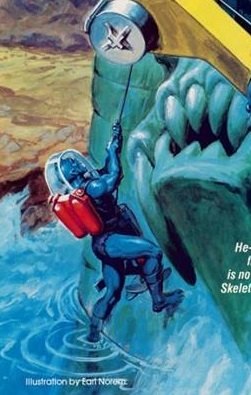 Had no idea his body was a Skelly re use. 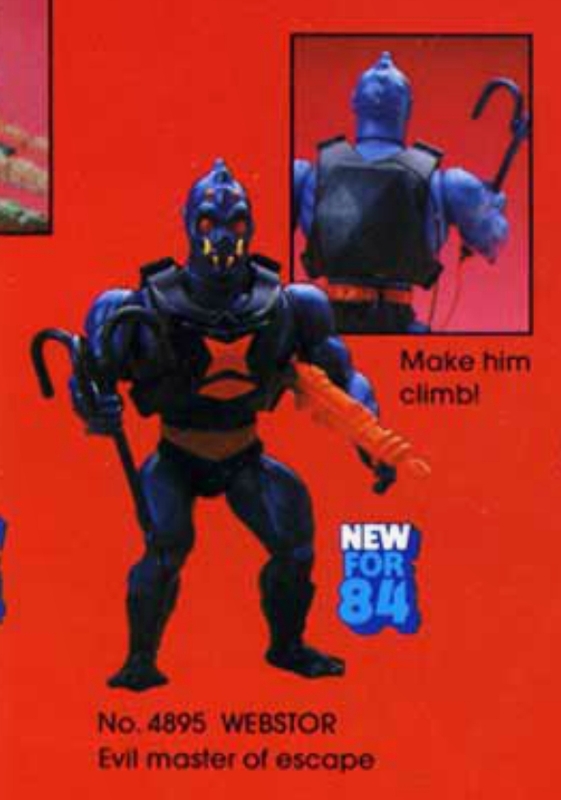 Nice idea – thought if it literally was to be silly string, that would involve chemicals which,even in those days, would have been ver un-toy-friendly. 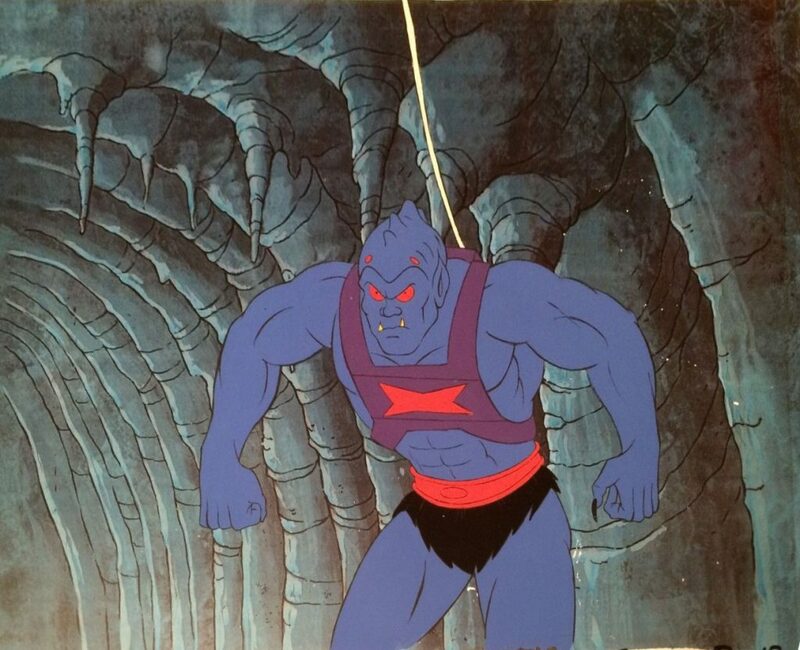 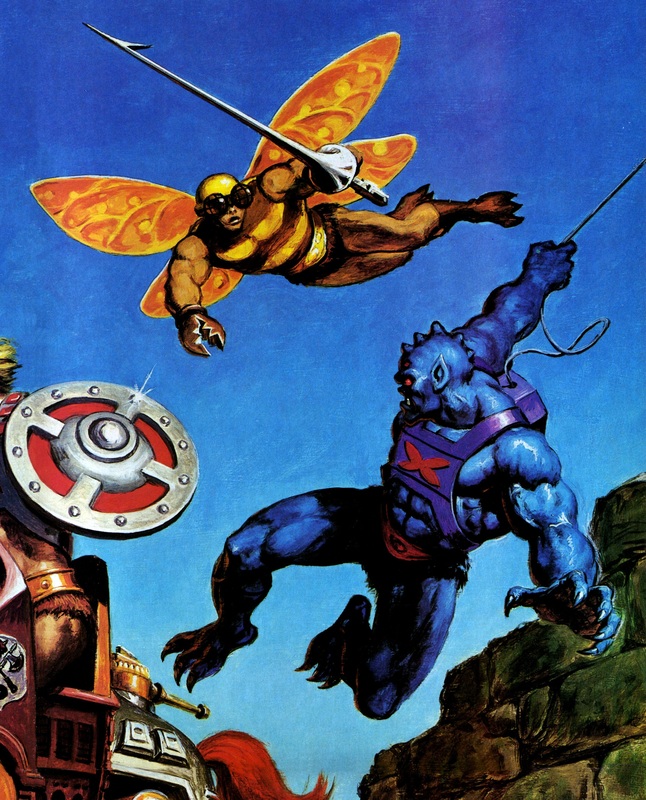 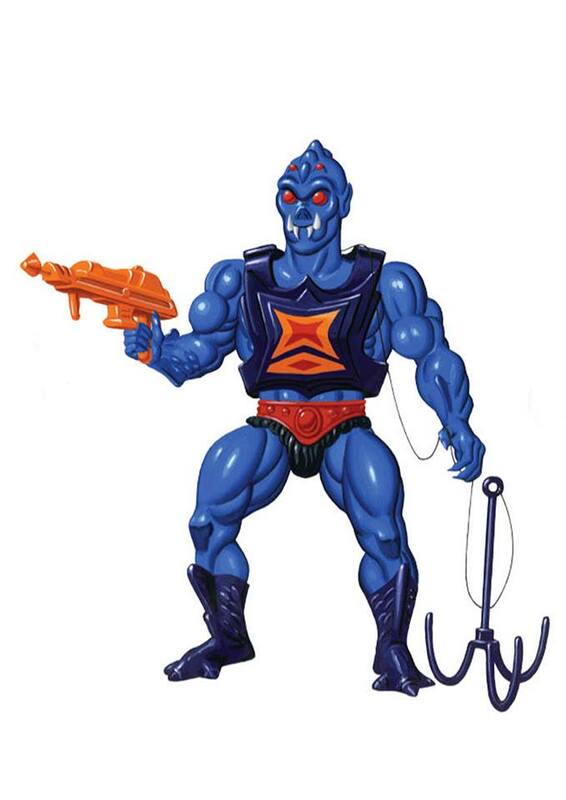 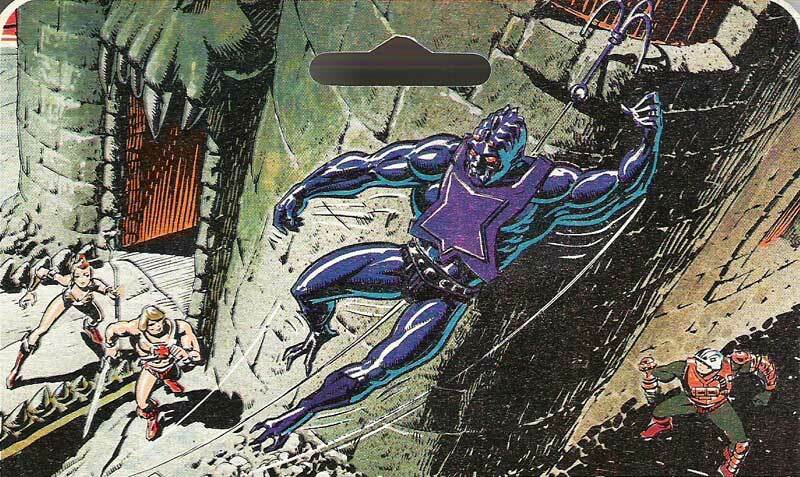 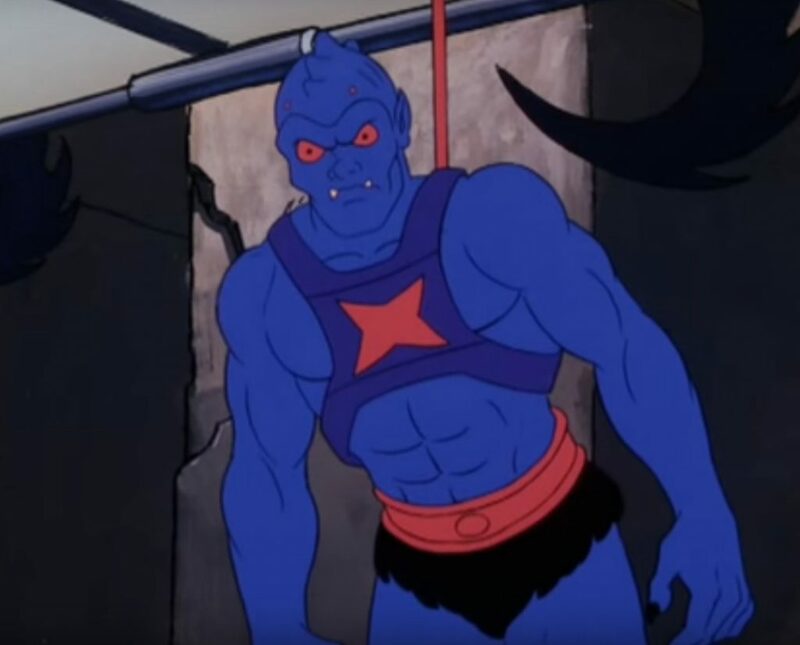 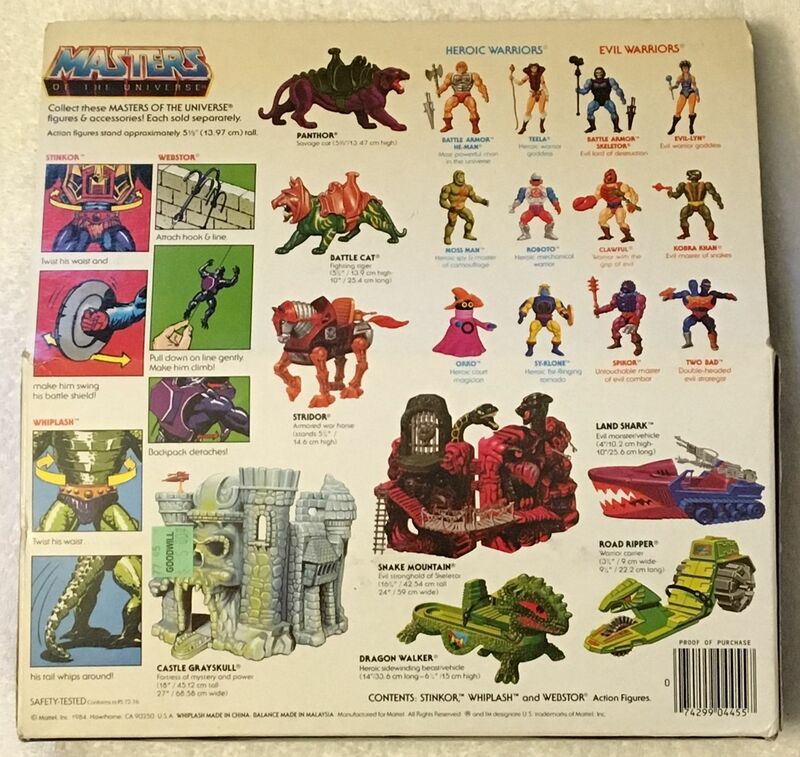 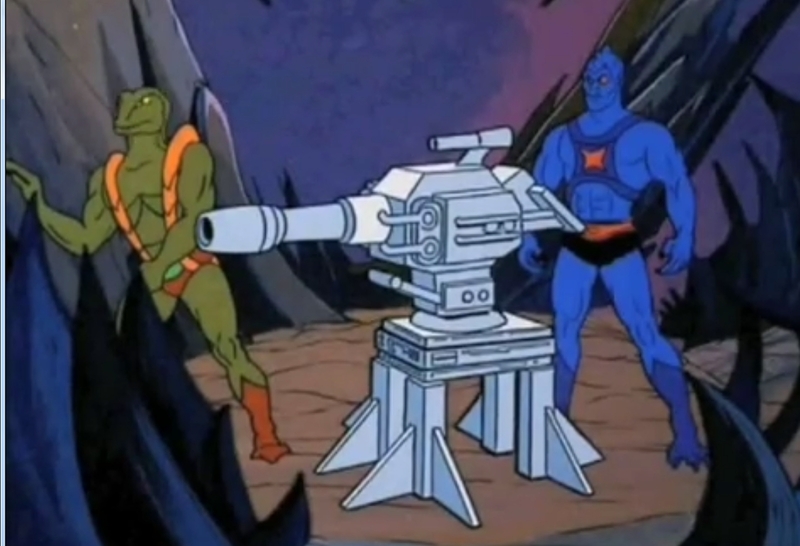 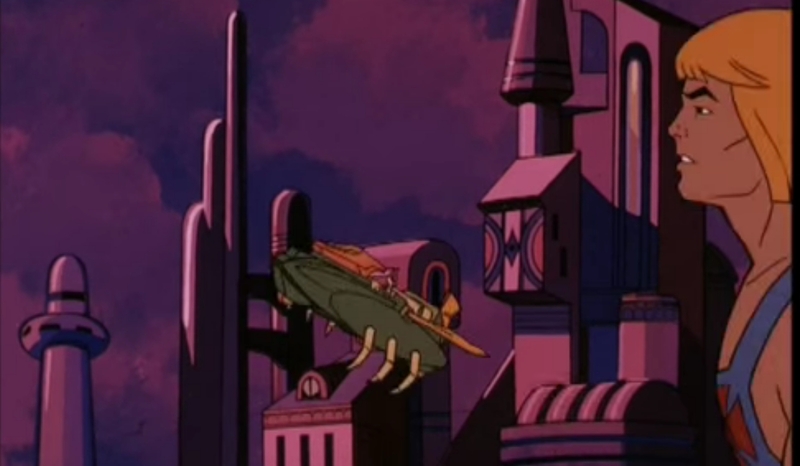 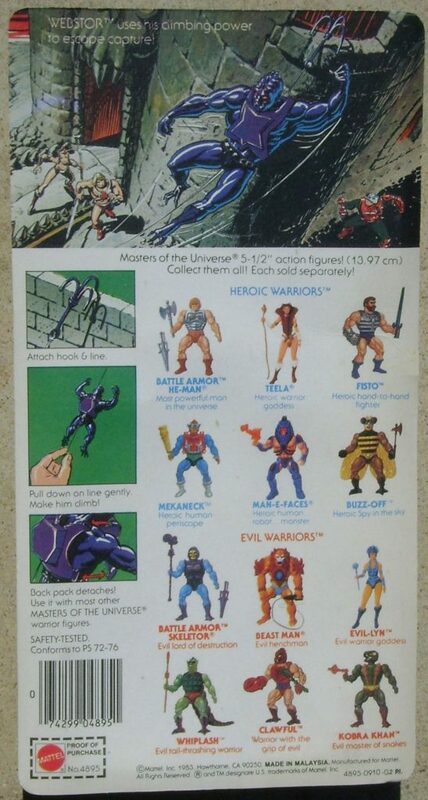 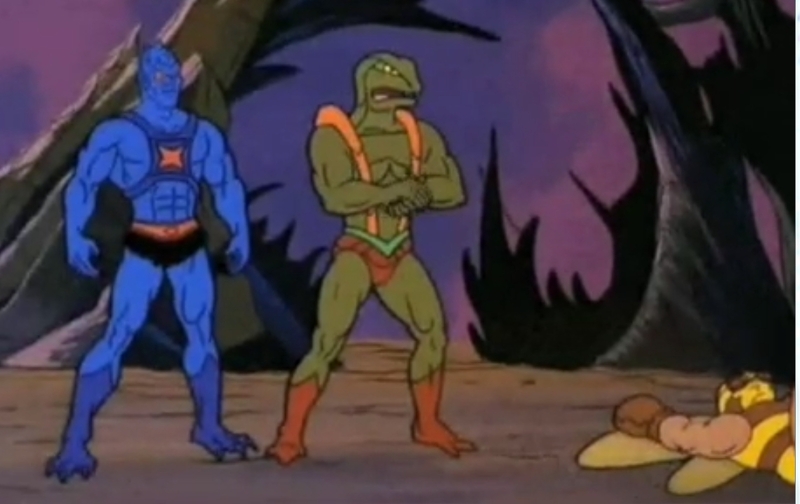 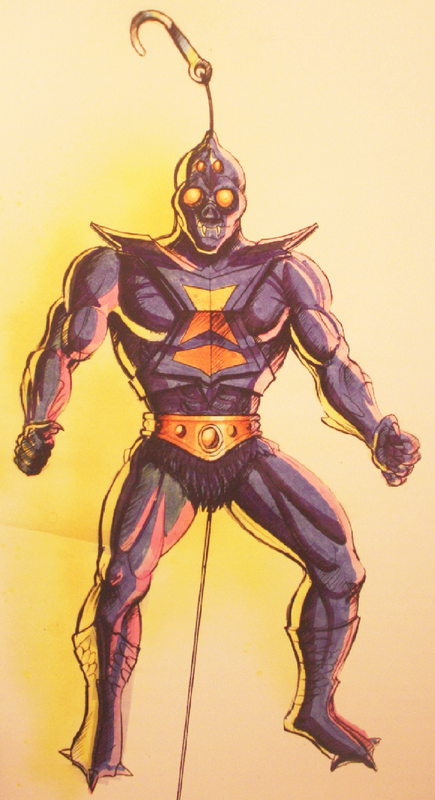 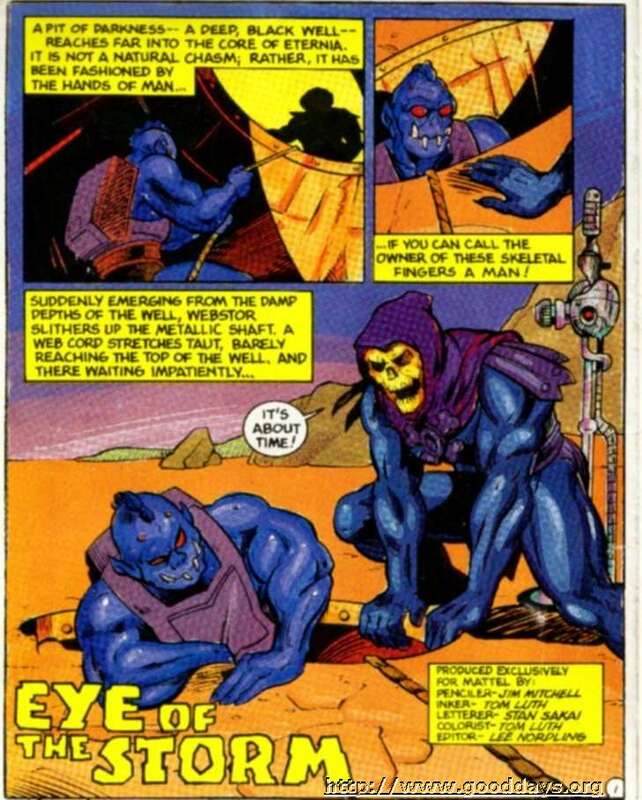 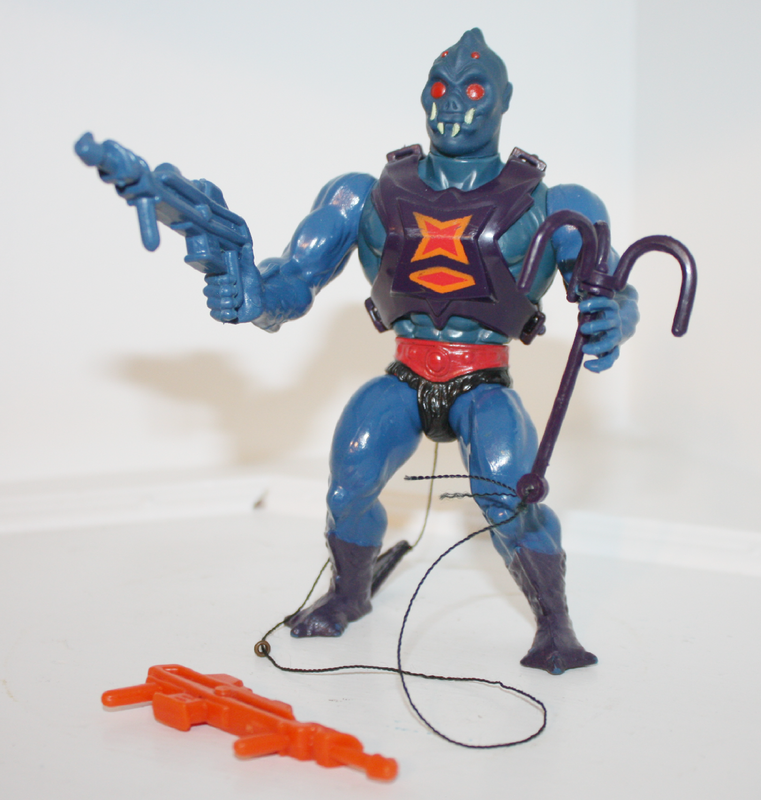 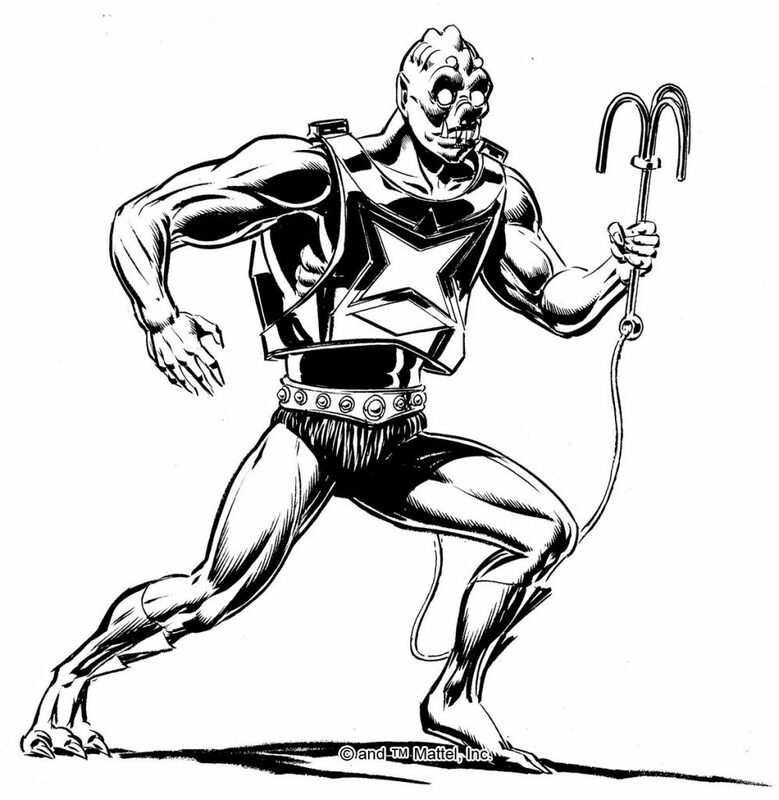 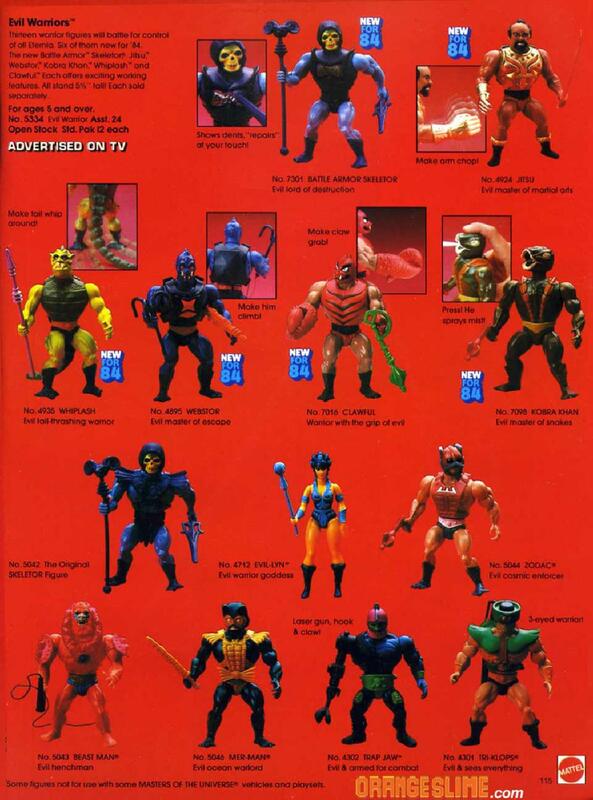 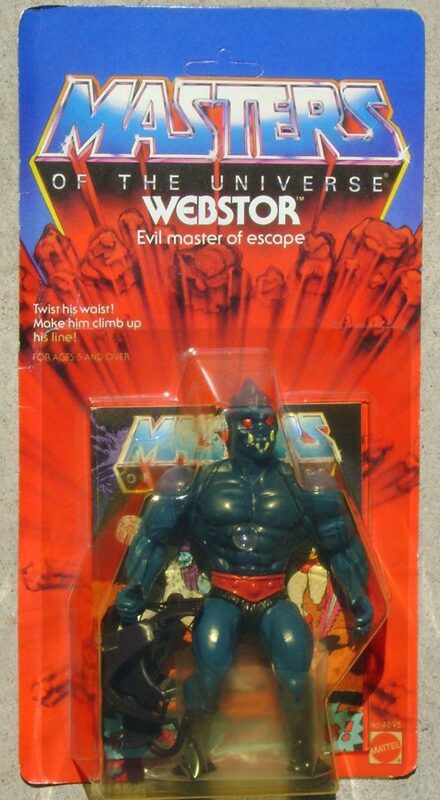 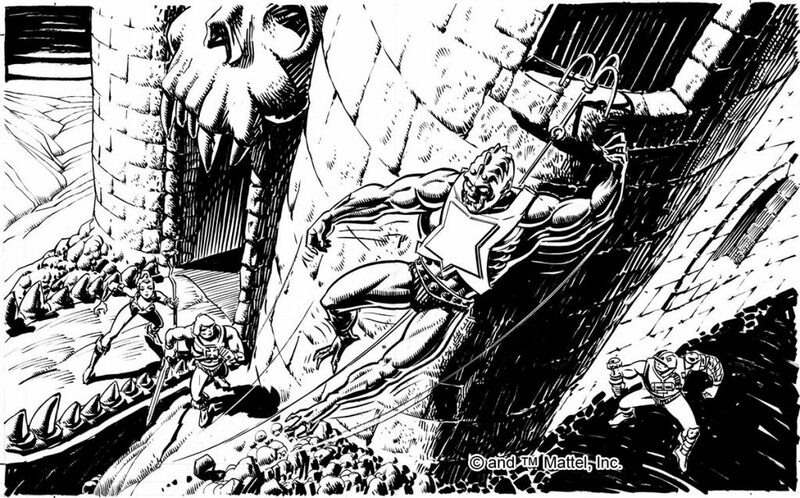 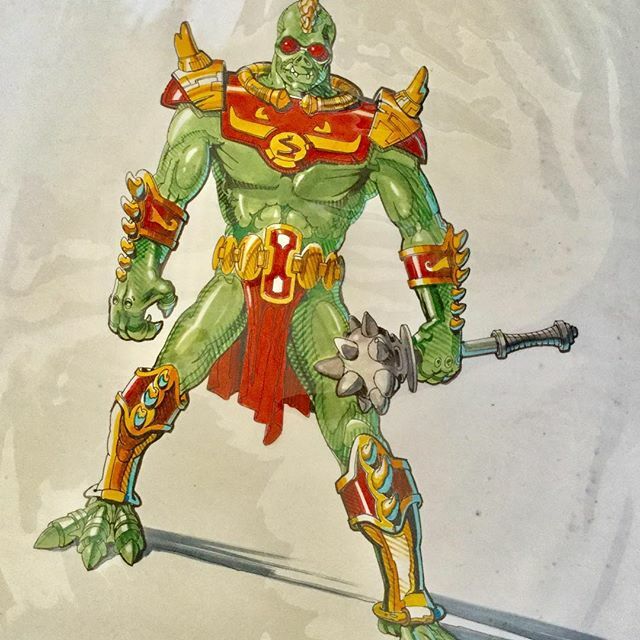 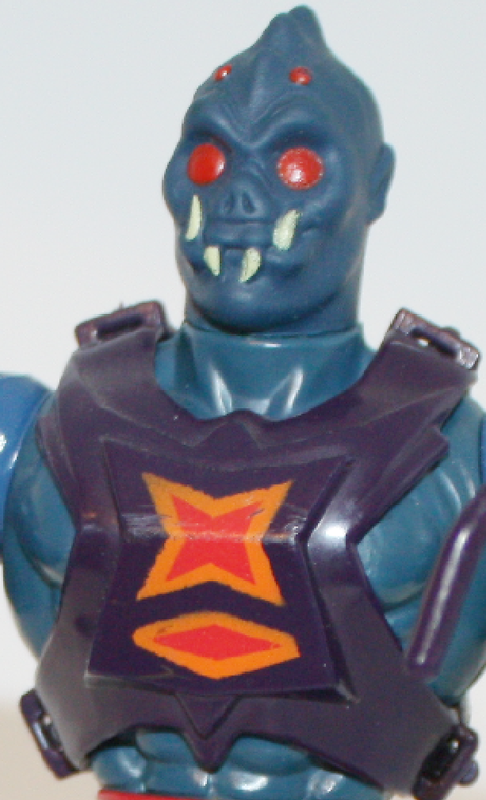 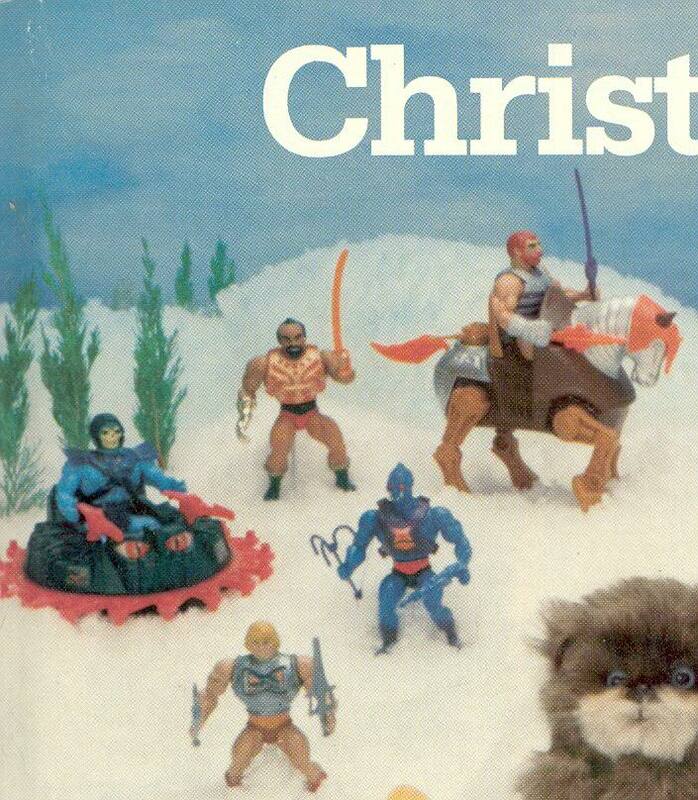 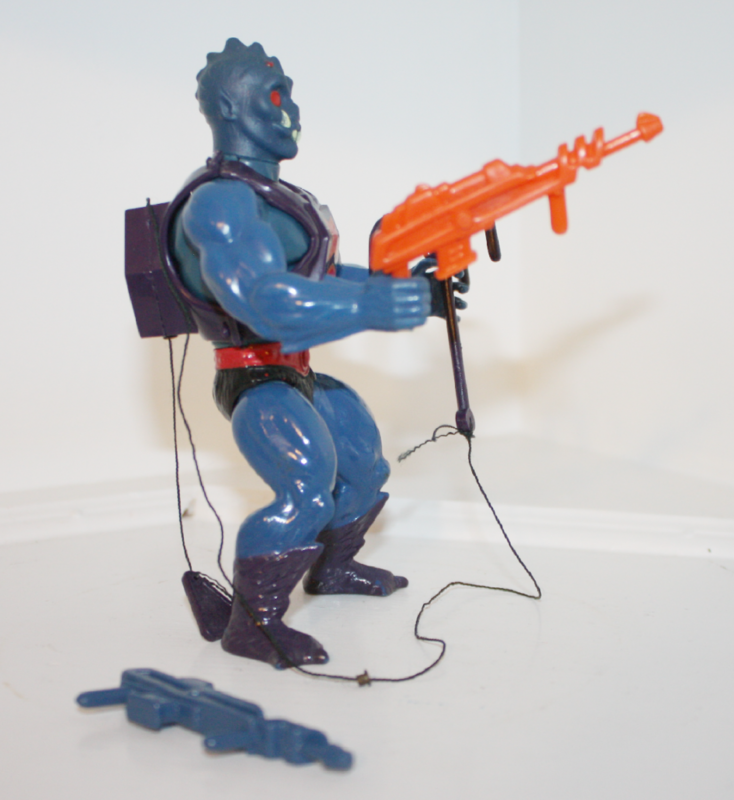 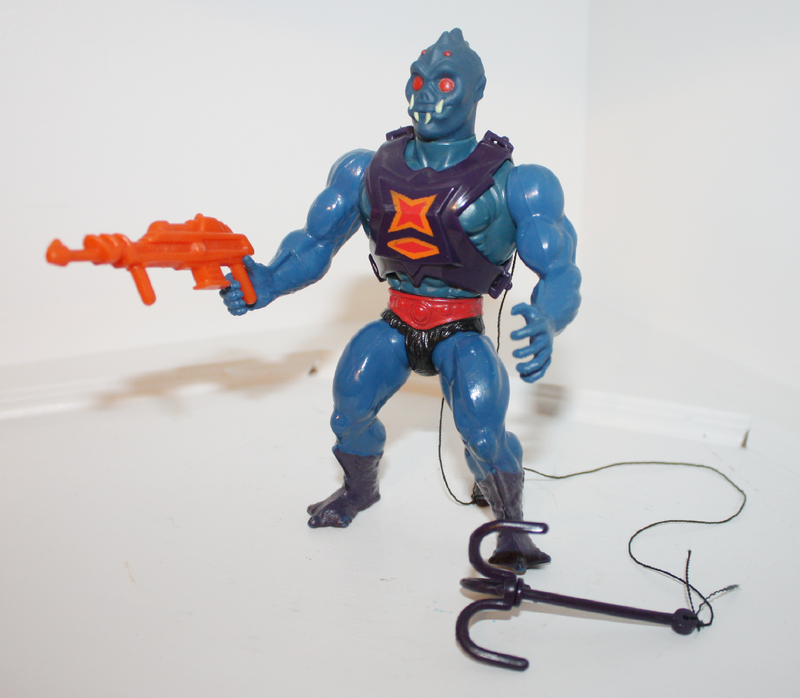 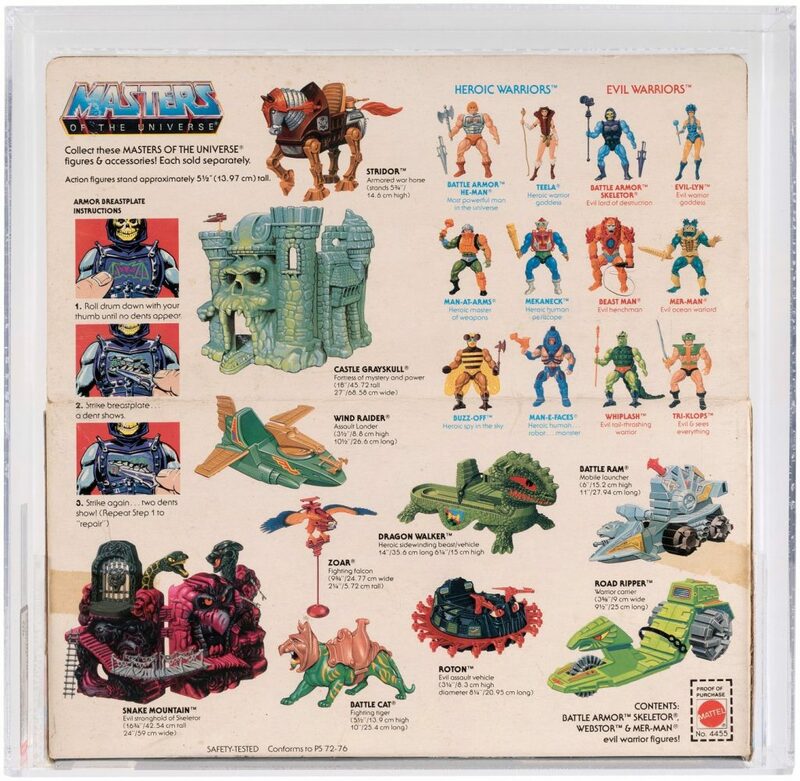 I wonder if this Beast Man origin ties in with the origins of Beast Man, Evil-Lyn and Tri-Klops that was mentioned in the Filmation series bible but thankfully never used, of the three of them being scientist astronaughts on Marlena Glenn’s ship that crashed on Eternia, causing them to mutate. 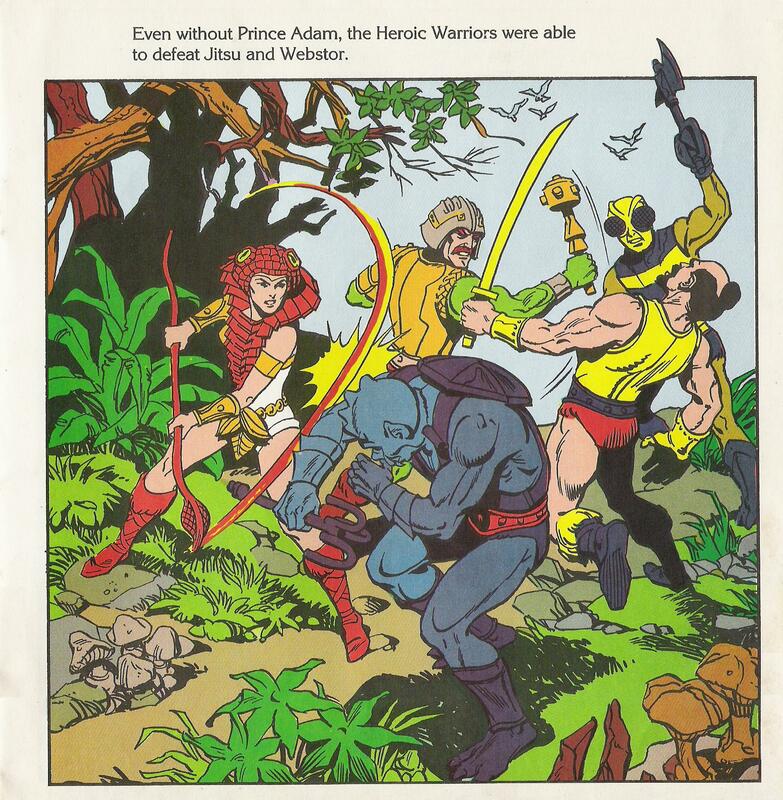 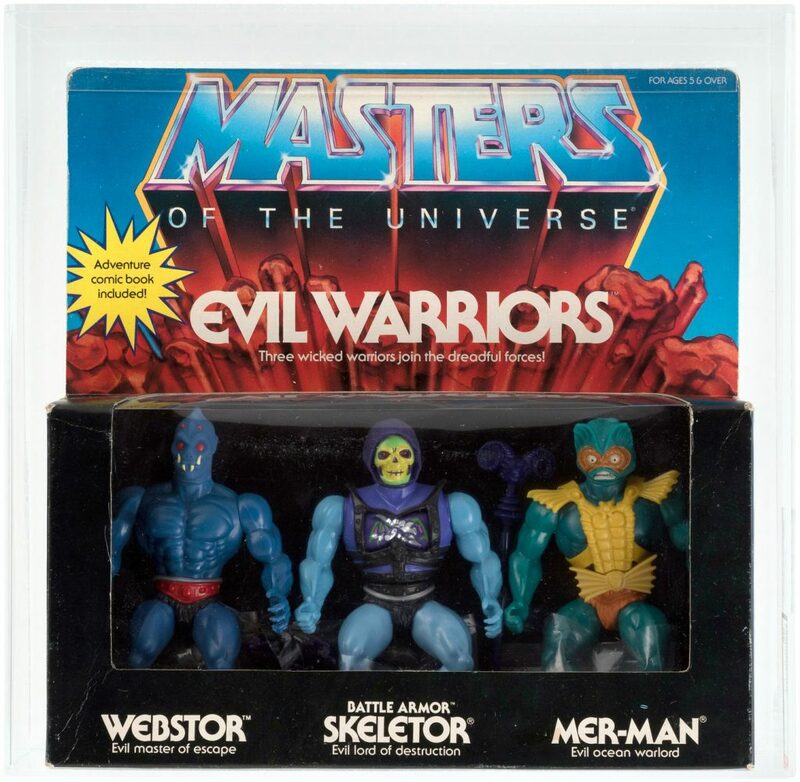 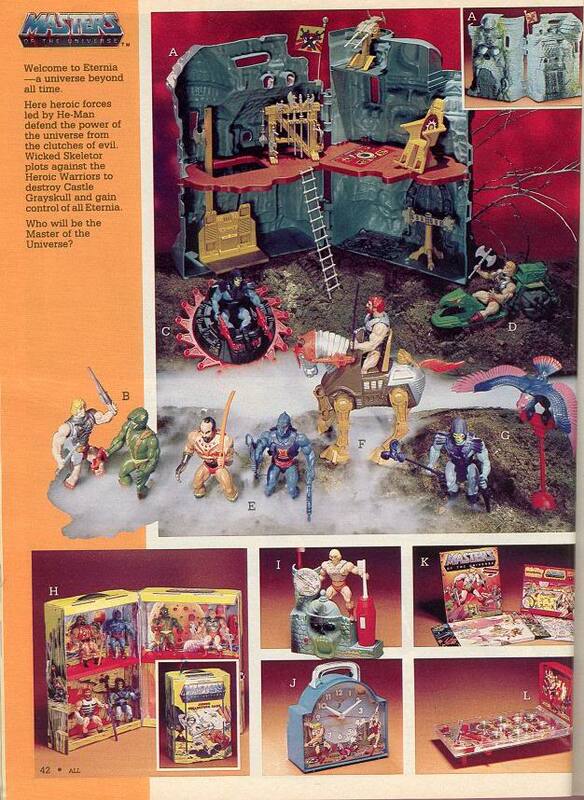 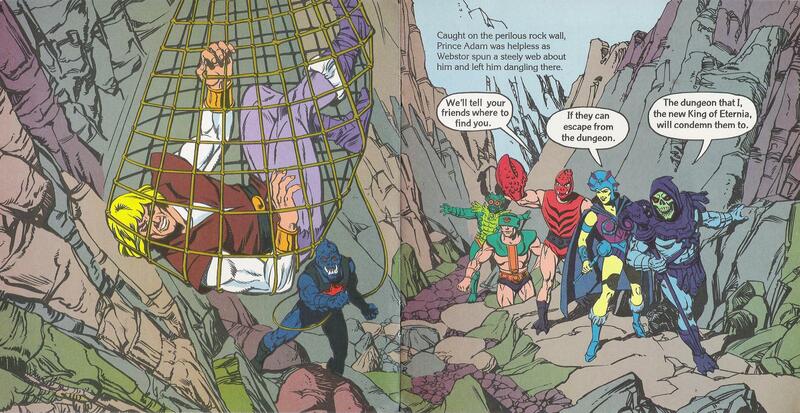 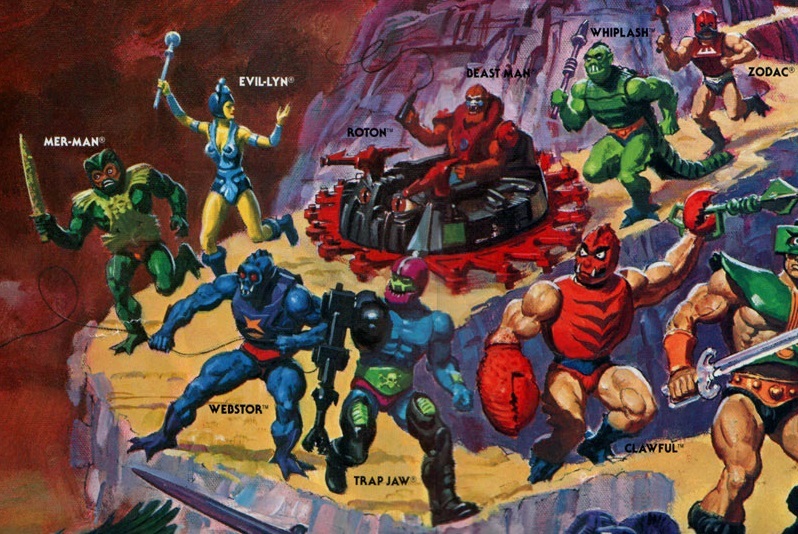 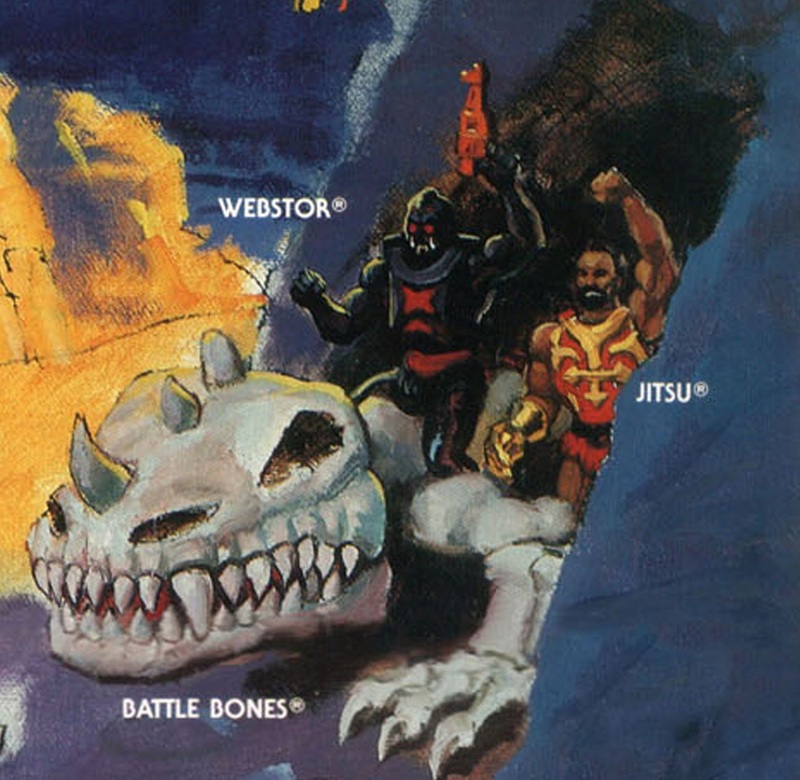 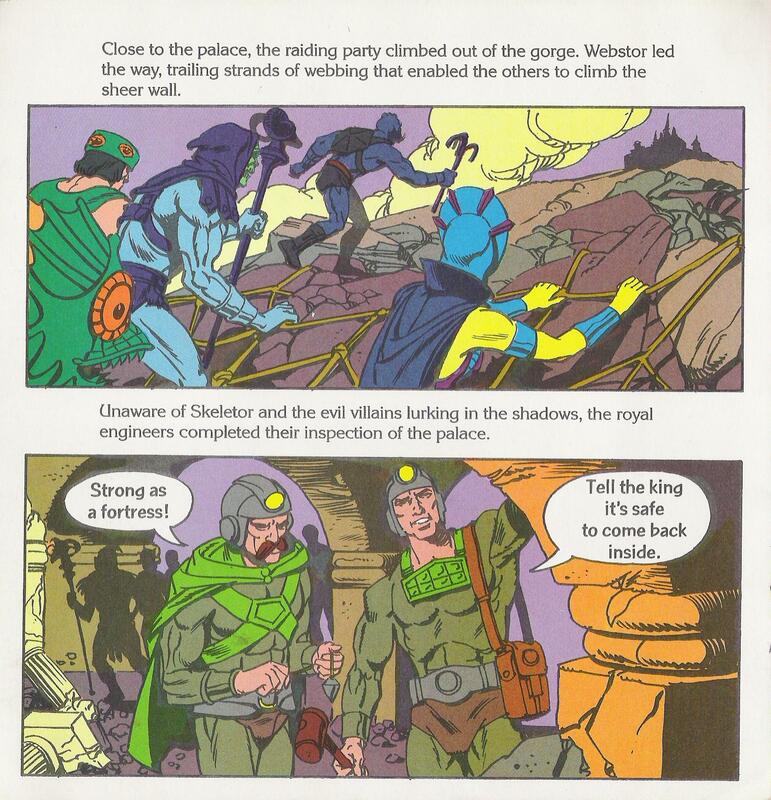 I’m glad they never really followed through with this, and I gotta say, in Beast Man’s case, I don’t like him being anything other than a life-long ferocious savage, Skeletor’s earliest follower. 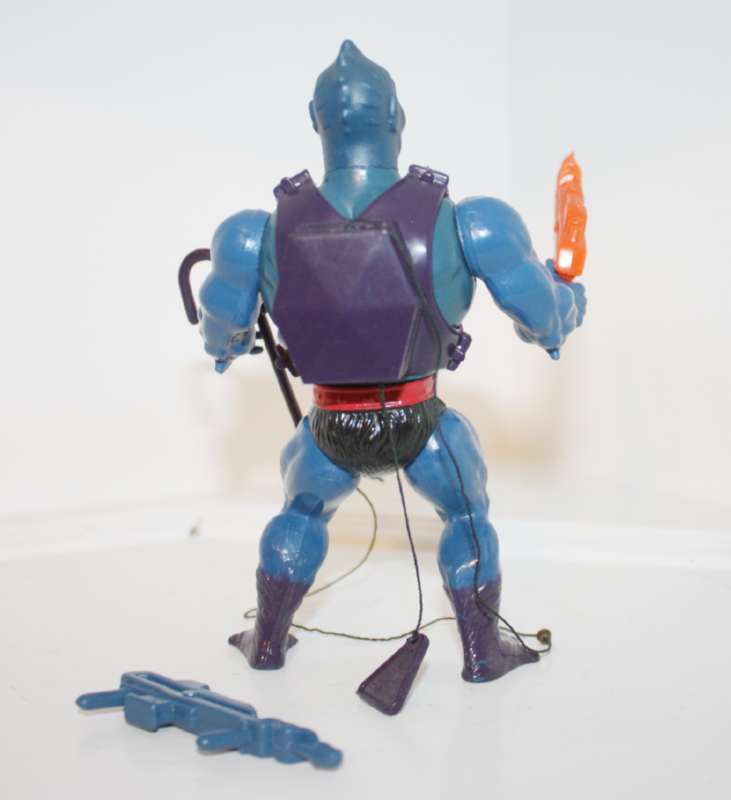 A blue orc… Yeah, it fits his look perfectly 😀 I still like Webstor but the hook mechanism though clever was not very good: the rope was thin and very prone to form knots, blocking forever the mechanism. 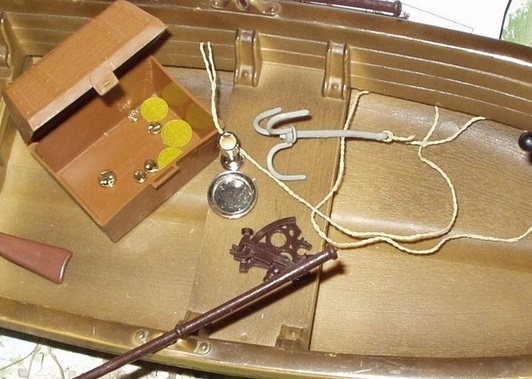 I tried to replace the rope, but I never succeeded to do that in the right way. 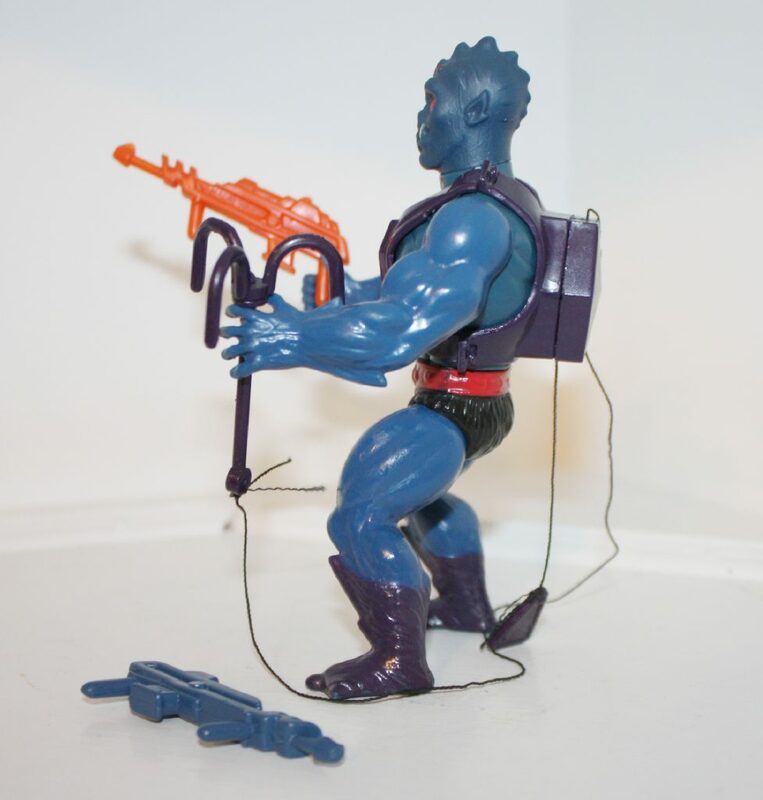 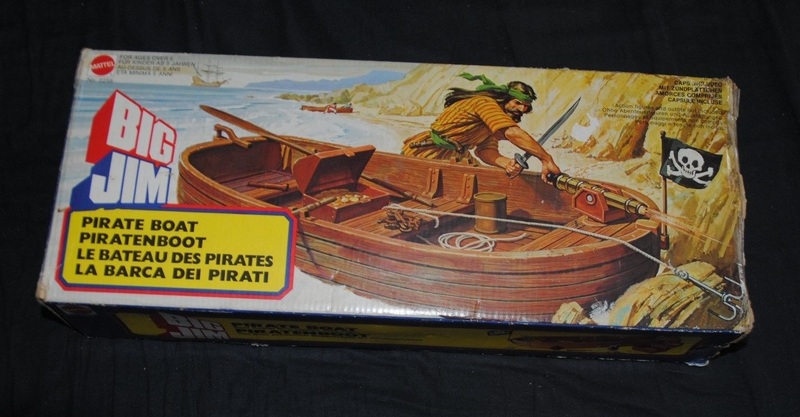 I was able to fix mine, but it was VERY tricky. 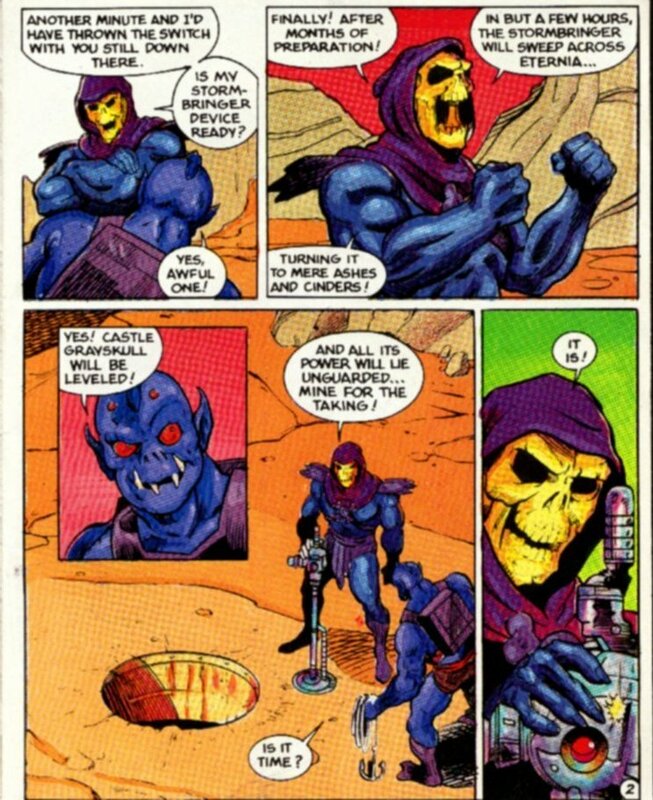 Not an easy fix!